GE technology chief says days of “relying solely on synchronous generation for everything are over”. In a direct challenge to those who say grid security can only be assured by spinning coal and gas turbines, the world’s biggest provider of energy equipment says wind and solar can do the job just as well. GE, the world’s biggest industrial group and the largest supplier of energy machinery, says the world no longer needs to rely on so-called “synchronous” generation provided by coal and gas plants to ensure the stability and reliability of electricity grids. “The days of relying solely on synchronous generation for everything are over,” says Nick Miller, senior technical director for GE Energy Consulting, adding that alternatives such as inverter-linked solar can perform many of the same functions, and much more efficiently. This is significant, particularly in Australia where a massive political debate, and media debate, has erupted over how much variable renewable energy such as wind and solar should be allowed into the system, and whether it will impact on reliability and grid security. But the debate is not just political. The CSIRO and the network owners envisage a future based around solar, wind and storage, and little or no “synchronous” generation from coal and gas, and this vision was supported by chief scientist Alan Finkel, who pointed to the numerous technology alternatives already available. However, the fossil fuel lobby and the conservative institutions that manage the grid operations and its rules – the Australian Energy Markets Operator and the Australian Energy Markets Commission – warn of increased disruption if synchronous generation (coal and gas plants) is replaced by renewables. They struggle to imagine a future with no large spinning machines, and AEMO’s chairman Tony Marxsen insists that alternatives are years or even decades away. GE’s Miller, however, supports Finkel’s view that technologies are readily available to perform the functions that many presume can only be delivered by fossil fuel generators. He points to a new 300MW solar PV plant in California, which was connected recently with GE inverters and delivered frequency response “many times as fast and accurate” as thermal synchronous generators on the same grid. In Texas, he says, all wind turbines are required to provide primary frequency response. That situation has not yet arrived in Australia. Promoters of battery storage, inverter technology and other “smarts” are trying to get rules changed so they no longer favour incumbent fossil fuel generators – setting the price of electricity every 5 minutes instead of every 30 minutes (and so favouring fast response technology) is key among them. But these changes are being fought vigorously by the owners of gas and diesel generators who profit from the status quo, even though the principal regulator and the market operator agree that they distort the market at the expense of consumers. “The good news is that inverter connected technologies like wind and solar can provide some excellent grid support services. A key objective is to improve performance standards and get greater participation from the whole system,” Miller says. “We’ve built our grids around synchronous generation which has good and bad properties, but we’ve gotten used to it for 100 years. We’ve now got rapidly rising levels of increasingly sophisticated asynchronous technologies. While they have their good and bad features, the trick is to take advantage of all of these technologies. Miller says storage will likely be one of the technologies to assist in grid stability “but by no means is it the only – or even the main – option. “The first thing we need is to make better use of what we already have. We need flexibility in the grid – that means physical flexibility and rules flexibility. There will be situations at the extremes of grid conditions where storage may be the best answer. “For example, batteries provide some unique, quick ancillary services. They are being used to provide some specific grid services because they do them very well. These uses are quite tailored. Miller said he was not in a position to comment directly on the recent state-wide blackout in South Australia. “What I can tell you from my experience throughout the US, including places like Texas, is that it has been demonstrated that highly satisfactory levels of stability are regularly achieved in grids with a high penetration of renewable energy. Why not condensers? If the plant is there, and is connected to a grid, and the generator can be back-converted to a condenser, then why not do it, and proffer some industry conversion upside to people with stranded assets? The concept you are implying is not understood by many on here. Can you outline how it works. Are you yalking about synchronous condensers? yes. I read elsewhere (on this site) that there is a reasonably well understood conversion for many generators, to operate as a synchronous condenser. Its a significantly lower cost than building one out from scratch, given you have the right kind of generator in the first place, and its heading to retirement, but is still operatable. We have generators who are moving out of the business because of the costs of operation under coal. And we have people in the LNP shrieking about the loss of inertia in the system. So it feels like the solution with the best short term benefit, is to retain the operators of coal-fired generators, as providers of rotational inertia, by removing the coal and injecting volts. It gives them an income stream to wind down on, it provides a service, it avoids building things we don’t need and its well understood. Fascinating stuff, thanks all. It’s particularly interesting to hear views on the potential role of inverters in providing system stability needs. Is it just that AEMO is still catching up with this thinking? It may interest some to know that we are having exactly the sane debate here in the UK. Clearly the challenges are different – larger scale wind-dominated here compared to prevalence of rooftop solar in the NEM, and the urgency here relates more to the continuing closure of the coal fleet – but the system operation challenges associated with managing intermittency at a central level appear similar. National Grid has already begun procuring storage capability through tenders for ‘Enhanced Frequency Response’, with 200MW of dustribution connected L-ion batteries procured so far under 4 yr contracts. There are further tenders scheduled, and government is generally supportive of a RES/storage mix supported by nuclear and CCGT baseload. Is NG simply missing a trick here re the potential of storage and inverter technologies? The use of synchronous condensers (re-purposed synchronous generators) certainly is a valid means of adding “inertia” to the system. But any increase in energy gained from them comes at the expense of frequency. So it is still a system dependent on “big spinning things”, which is exactly what we need to be getting away from. Which is what the article is all about. I’m proposing it as a transition mechanism. I don’t think it makes sense long-term, but neither did building out the windmills without DC regen, or batteries. As has been said elsewhere on this website, its been known how to make PV and wind do frequency for over 10 years and its a classic Aussie ‘do it cheap, why do it right’ story we didn’t have that mandated. Yep, it is an industry that is very old fashioned and doesn’t have the vision to transition into the future. Using synchronous condensers is just putting off the inevitable and throwing money away in the meantime. But, physically, can a system run on ‘synthetic inertia’ alone, as provided by batteries and some renewables? These technologies can provide highly valuable ancillary services, as the article points out, but I don’t think GE is suggesting that the system can run on these technologies alone? Indeed, my engineering colleagues tell me that any system still needs ‘real inertia’ as provided by ‘big spinning things’ to maintain stability. Is that correct? That is the traditional thinking I know. But I don’t think many of them fully comprehend just what can be done. “Synthetic inertia” as in a frequency generated from a power conversion technology (inverters) is actually “infinite inertia”. The inverter can maintain a set frequency (50Hz) regardless of load. You could overload it to the point of voltage collapse but it will still maintain the 50Hz. So to use South Australia as a test case, if an inverter bank of around 400-500MW capacity with 200-250MWh of battery storage was installed at the Tungkillo transmission sub-station, it could manage the whole State. It can smooth out all the variations in generation and load instantaneously. And that size ought to be enough to handle contingency events like a generator or transmission line tripping. Which the allows the synchronous generators the time to be able to ramp up or down their output without influencing the frequency. They could effectively follow the inverter. All the existing wind turbines, solar and the Murraylink inverter don’t have to change anything, but tightening up their settings to further support the grid would help regardless. If more energy from Victoria needs to be brought in, the inverter would be able to synchronise with the NEM, lock on to it and follow it. The instant the inter-connector is disconnected the inverter could revert back to running the frequency itself. Quite frankly, I’m confident this could provide stability and reliability much better than what we have now. It really is just like a big UPS system, just scaled up massively. Cost? Good question. $1.4 Billion is what they’re talking about to add another inter-connector from Victoria. That would have to go a fair way or better wouldn’t it?. Then there’s all the residential, commercial and industrial properties also with storage, also smoothing out the load, helping the larger network storage smooth out the load. Any storage added is beneficial. It all helps smooth everything out. But at the NEM level, you don’t actually need masses of storage. It just needs to be enough for the generators to be able to smoothly ramp up or down and adjust to the altered generation or demand. We would not need the capability or storage to carry the whole grid at all. I reckon that one in SA, one the same size in Tasmania and WA, one twice as big at South Morang in Victoria, and three each in NSW and Qld. Locations that have several converging major transmission lines and can connect to power stations without much load so that it can easily do black system restarts too. It’ll need a change in the way the whole NEM is operated, but that is urgently required too! Sounds like a fantastic short to medium term plan for the countries grid security. I hope ARENA decides to employ you to implement it. As you say, it really doesn’t take much storage at all. It just has to be matched to regions and strategically located. More than that. It could well be the long term plan to eventually be 100% RE. Which can’t be done for as long as “big spinning things” are part of the equation. When you say ARENA, I think you mean AEMO. And yes, I’m trying to develop it further and influence politicians too. Working on it…….. The reason I said short to medium term, is the model I’ve put forward is more comprehensively nested than the course regional model you’ve put forward to solve immediate problems, where for example onsite residential, commercial, industrial inverters/storage would be following one SA network inverter/storage. The reason is that’s allot of grid infrastructure still vulnerable between stand alone onsite inverter/chargers and the SA network inverter/charger. If a transmission line between a regional centre and the SA network inverter/charger has an outage due to a fault, storm or fire, it means all the people in that region without PV/storage have no power. 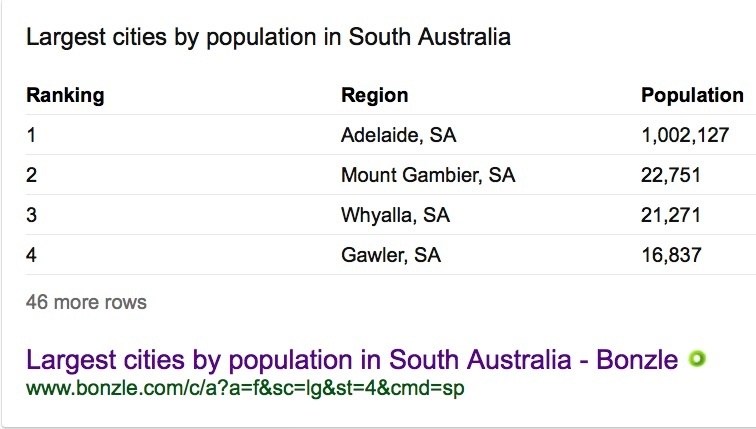 If it were me, I would have inverters/storage in each major region in the state, for example, if we look up data of SA, the biggest population centres in order are: Adelaide, Mount Gambia, Whyalla and Gawler. If there were an inverter/storage in Whyalla, it would prevent outages at Whyalla and for the rest of the people in that land mass jutting out into the ocean including Port Lincoln. A regional inverter/storage at Whyalla would also smooth the load back to the main SA network inverter/storage, preventing network upgrades. There’s there’s further nested inverter/storage for remote or fringe of grid areas like Coober Pedy, protecting people at Coober Pedy from outages. The storage doesn’t need to be large, just big enough to smooth the load back to the next major node. Advanced inverter/chargers can provide the majority of the peak power for their local area, while only sourcing a relatively constant current for any shortfall in seasonal variations. I don’t know how many hours of storage would be economic for an area like Coober Pedy, whether it should be minutes or hours, though something helps prevent network spending and give emergency crews time to respond in storms and fire. With the ARENA comment, I was thinking in terms of broaching the subject of a distributed paradigm, that it’s better to seek to influence having a supportive team to advocate for a pilot project, than trying to influence the status quo in a whole system at once. Then again its your field. I was trained in the military as a communications technician, though I’ve retrained with degrees in social welfare type work, hence the concern for rural areas and regions. I have to admit I’ve been thinking about the initial stage required to get that transition from dependence on ‘big spinning things’ to inverters controlling the NEM. And yes, following that with distributed storage all contributes to better stability and reliability. I understand your reasoning for ARENA to fund this. But in reality it would be core investment at the heart of making the NEM function so should be at its own expense. I’m especially looking at this as an investment in-lieu of installing more transmission lines. The NEM even as it is can get energy to anywhere on the network. Storage even in each region will greatly reduce peak demands and need for increasing capacity. All part of that smoothing out. Charleville in Qld is a good case study. It is only supplied by MV, and Ergon has declined business expansion and new businesses from setting up in Charleville because of this constraint. But if there was some decent storage and local solar generation, that constraint would not cause such a problem at all. Why even bother with AC power at the state interconnector or even regional power line level, Would HVDC not be more efficient? Smaller substations could convert this to 50hz AC using inverters for local network distribution. The timing of this current set by electronic signals. I agree, HVDC transmission would be preferable because you wouldn’t have to worry about synchronising frequency between regions/States etc which reduces complexity. Existing Substations could form the basis of localised minigrids. For example a suburb might have a high penetration of rooftop solar and plenty of distributed storage. Something will need to set the frequency of this minigrid and that could be the substation. For energy security it could even have the capacity to island itself from the wider grid, and that capability might make the expense of a substation inverter worthwhile. Brilliant article. Good to hear from a big gun like GE. More intelligent conversations will be needed from the private technology sector to offer real-world experiences in solving our energy problems. The rule-makers, and operators have operated in a vacuum for far too long..
Great simple reality article. Thanks Giles. Back in 1995 we used to manage system security and load by human logic and control intervention. I had to put 600mws on line to recover from large coal gen trips based on the frequency and it was understood and done often. There were syn cons that would mode change also but still all decisions were human intervention. The most significant information in the control room was the frequency. When the market came into being the frequency meters were rarely looked at. All load decisions and actions were automated and human intervention was in the market bidding process. We had to take action for stability when the market was suspended in rare critical events. Still today the system responds to generation loss by first ramming that energy down the customers neck without checking if they need it. To do this we generated with poor efficiency in order to carry spinning reserve to cover the loss of the largest generator. With todays technology, the switchable non essential loading would be much more than the required spinning reserve for security and stability. We would go beyond the most serious generation loss without needing a battery. Indeed we wont be loosing 600 mw coal gens all of a sudden. In the opposite problem where we loose large load and experience high frequencies, load shifting response again could control the problem without shutting down or disconnecting generation. Doug, I may be wrong , but I submit that your old synchronous generators interfered with the grid frequency when they met load changes. You would have monitored the grid frequency (perhaps with two clocks on the wall, as I saw years go in Cape Town South Africa at a pumped storage facility there.) . The grid frequency would reflect the big generator’s frequency and would actually be the generator’s way of responding to voltage and current changes. No need to work out which goes with what, just let the machine tell you by its slowing down or speeding up. Then you compensate by giving it more or less steam. Very similar to the simple way our current politicians work -to be sure, to be sure. A grid lacking synchronous generators would rely on the voltage and current fluctuations to determine load vs generation balance. I would suggest the grid voltage would start to rise if load was insufficient and drop if load was excessive. Some parts of the grid might act like fixed voltage power supplies and then the current would determine load. Generation and load matching could be done on multiple levels including at the Substation level. One of the things we don’t want to do to our renewable solar and wind generators is restrict their power output at times of power excess. We would rather use storage to balance the equation or manage the load. Hydro on the other hand can restrict its power output without losing nature’s bounty. Interconnectors can also be a good source of load balancing since widely spaced resources are likely to have different peaks of power generation. All these things are already being done to a certain degree. Every now and then AEMO will tweak the frequency control and run the system a little faster or slower to correct the clock. Same in USA which runs a system of 60 hz not 50. The frequency is such that a typical setting is 3%. That is 3% speed change represents full load. So in a grid with 10 gw load, if they loose one Gw of generation the frequency would fall to 49.85 hz. Voltage depends on the reactive power on the system. When the load is high there is high current in the transmission lines. This is an inductive load and consumes reactive power, lowering the voltage. Retailers have capacitor banks at substations that they switch in service, generating vars and raising volts. In low loads the transmission lines are the same as big capacitors and generate vars, raising the voltage. Retailers have inductors they can switch in to consume vars and lower the voltage. Generators can run as synchronous condensers and by variation of the exitation dc current in the rotors, raise or lower the volts. They perform this task often but retailers are finding static var compensation of their own and its cheaper and placex in optimim location. Speed of system hz does effect voltage in crisis. Voltage collapse occurs because of the relationship between hz and var consumption. But it is not the basis of stable voltage control. Thank you for your insight, Doug. This article has generated a lot of good discussion. It seems to me that there are many devices that can condition and modify all the variables of frequency, impedance, resistance, capacitance, voltage and current. These arrangements can be made at any or all of the levels of the grid. Maybe frequency control is not such a limiting factor to renewables after all. Can you send a copy to Chris Uhlmann? Fantastic we’ve finally arrived past the concern of needing “large spinning machines” and we now have the recognition inverters are as “many times faster and accurate. However Miller is in the U.S. which has a population density of 35 people per square kilometre and Australia has a population density of 2.8 people per square kilometre. Additionally if we look at a population density map of Australia, we see there are extreme variations in our norm of 2.8 people per square kilometre. Basically Australia has far greater distances between population centres and many more fringe of grid areas. Whereas Miller sees storage as more of a niche market, Australia will need the same amount of storage as other places in the world, though more dispersed in direct proportion to our greater expanses of distances between population centres. If we don’t do this, we will be more vulnerable to our economy coming to a grinding halt in storms and fire, have reduced national security and be pushed into a second era of a gold plated grid. Storage can be implemented as ARENA and Miller tend to suggest, however their is a cost to system security and that means a cost to our economy and our safety. It is a choice. Invest in the storage side of a continuum or heavily invest in grid infrastructure. Storage is the quality end of the continuum in terms of quality of service. The best renewable energy paradigm is not distributed generation. The best renewable energy paradigm is the true distributed grid, comprised of distributed generation accurately matched to distributed storage. At the very least, prudent distributed storage will give maintenance crews time to respond in emergencies. It really is wise for our cities, rural areas, regions and states, to have some level of provision of storage in the distributed paradigm grid. Australia is not so different from the USA actually. The population for the most part is concentrated along the South Eastern and Eastern seaboards, not much happens more than 50 km inland. There is hardly a break in housing from Coolangatta to Noosa or Woolongong to Newcastle. 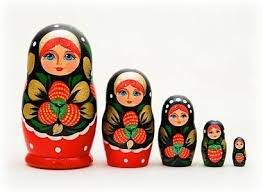 The bigger centres have plenty of hydro storage for the bigger mamma babushka grid and the little baby rural babushka mini grids could certainly do with lots of distributed storage. These are the places which would be eminently suitable for geothermal energy, solar thermal and storage, silicon storage, vanadium and bromide flow batteries and the like. The smaller edge of grid rural areas often have very long fire prone power lines which are extremely expensive to build and maintain, so any struggling storage technology would look financially sound for them ! Storage appears to be already evolving to fulfil all levels of scale from the smallest property to the largest network storage, and everything in-between. There will be storage nested in storage nested in storage, all with renewable generators. It’s important because storage reduces cable diameter when most people are thinking we need bigger cables and more cables. If done well, the only regional power flows left will be compensating for local weather and seasonal variations. That’s right, people who buy storage will utilise it in the peak demand / peak pricing times of the day to maximise the cost reductions on their grid-sourced power usage. Therefore the more people who have storage, the lower the demand peaks / pricing peaks will be for the grid. When the number of people who have bought storage is in the millions (just like solar panels now) the peaks will start to disappear and “gold plating” of the grid to cater for excessive peaks will no longer be necessary. If demand is currently flat and the rollout of batteries is immanent, then peak demand should begin reducing in 2017… making any planned network upgrades for a “smart grid” look silly. My fear is its too late. Authors on this website, orgs like ARENA and the Clean Energy Council, will have set us up for increased poles and wires and more expensive electricity prices – especially when load defection begins. It’s probably too late to prevent unnecessarily augmenting grid infrastructure and a costly grid. I’m not against smart grids, in fact the smarter the better. Let’s say there were several million households with home storage – that’s a lot of potential load reduction in an emergency situation. So along comes a force 15 storm with mini tornadoes and it starts ripping transmission towers out of the ground. The grid’s Fat Controller should be able to message all relevant household “smart systems” to switch to battery power. This will in an instant reduce the load on the grid. A text message can then be sent to home owners saying extreme weather has required their house to be switched to battery for the next x hours, and if they want to reserve battery power for coming days switch off all unnecessary appliances. It’s no good to first text the home owner and rely on them to reduce load because the response time would be too long. This is the IoT age didn’t you know. Soon enough our fridges will be ordering beer for us (and watching cat videos on Youtube between orders) so we may as well put it all of this tech to the best possible use. Yes I can see such a feature would be useful though I think its overrated because my system already relies on the grid as little as possible and already stands alone automatically if the grid falls over and has for the couple outages have had recently. All this smart tech will cost money, so we need to evaluate the cost versus the benefit. I personally wouldn’t give anyone access to the CPU of my inverter to do anything remotely, except the manufacturer who offers to help program certain updates of its software, but not a grid operator. I don’t drink beer. I don’t have any physical addictions. Remote control of household smart systems (by the grid operator for the purposes of emergency load reduction) would have to be “opt in” of course, with incentives to participate such as a subsidy discount on purchase price of the storage system. Secondly, it would just be a switch in supply of the home’s own usage to the home’s own battery, and any demand by the home which is surplus to the battery’s output would continue to be supplied by the grid so that the home owner doesn’t experience any disruption in power. This along with a notification of what is happening and recommendation to switch off unnecessary appliances. So all harmless / nothing insidious there, and these events would be quite rare. Yes my inverter can be remotely controlled and so I’m sure it’s all possible to “opt in” to help the grid in emergencies or peak demand or at least to not import power at those times. The issue is those setting up the system to give fair incentives, not hurt customers batteries and balance the customers needs in emergencies with the grid’s needs in emergencies. If it is done, it would be good to offer customers levels of participation e.g. not importing when emergency load reduction is needed or available to actively help by exporting. With exporting, there needs to be agreements about how much kWh, what battery % discharge and how much of the inverter peak power to occupy. Oh Christ, Kenso have you flipped out again? Let it be known that I was nice to him this time. And still will be if he decides to come back. Allot of this theoretical stuff we read on this site is bull in practice. In the last three or so months, I’ve had 4 outages, two planned, one wind, then the last was lightning. When this happens and I’m the only lighted house in the street, I most need the power and they’re all stuffed anyway because their grid is dead. When there is an outage, I do switch off all the non-essential stuff and become a miser with power, so my batteries remain full. The other thing is my inverter is very busy because in those instances, without the assistance of a grid, the majority of its peak power is being used by me, even though I’m consciously only switching on one high power kitchen appliance at a time. So I’m not rich. In an outage, I have enough power for the three onsite persons which is why I paid for a solar system. I agree. The centralised grid is a klutz and if the beast is going down there’s likely nothing you and me can do to help it. We just get out of the way so it merely falls on its own sword – inertia and long runs of poles and wires. Even when we do finally achieve a distributed energy generation paradigm we’ll still need the grid. Though hopefully it will be a much lower cost grid. It sounds like you are largely energy self sufficient, but the majority of homes are not, and then there is the commercial sector, industrial sector, public sector, etc to think about. What happens when your batteries are fully charged and your solar panels are generating more energy than you need? Don’t you want to export your surplus energy onto the grid to earn some coin? I don’t have a problem with a smart grid and merely think there’s too much focus on it until the basics of effectively generating and storing energy are sorted. That’s the issue politicians and media have on the table presently. As Finkle pointed out as this article points out. Putting the correct technology in place with Renewable Energy be it wind or wave or Solar or for that matter Solar stored energy then it can not have a detrimental effect to the grid. There is no impediment other than delusional ideas frankly. Example: World’s previous biggest battery system for providing an Uninterruptible Power Supply for an isolated region in Alaska. We see batteries and inverters have been used for the fastest backup power for utilities since at least as early as 2003. Giles Would RenewEconomy be able to put html links to or publish a glossary of terms such as “frequency response” and “inverter connected technologies” that are raised in articles such as this. I am a layman in this area but I have a keen interest in renewables and follow RenewEconomy on a daily basis. I find that the renewables and grid integration conversation is becoming increasingly complex and it needs to be better explained to Jill and Joe Public (and quite a few Coalition members). “Inverter connected PV and wind” is a case in point. I have always thought PV output is mostly inverted from 12V DC to AC. So why are we suddenly talking about “invertor connected technologies”? This term has not arisen before in any conversation that I can recall? Is this something new or just another jargon term for what we have understood all along? It’s terminology that just broadens the range of uses. Anything that requires a DC source energy to be turned into an AC form requires an inverter to do the conversion. Whether that be a household rooftop PV array, solar farms, wind turbines or even the HVDC transmission lines – there is the Murraylink between Victoria and SA, and the Basslink to Tasmania. And also anything with a battery linked to your household power. They all have inverters in them to do the magic. Hi DJR96 I fully understand that a DC power source needs an inverter to provide 240V 50 Hertz AC power to the consumer. I don’t understand how “inverter connected (renewable) technologies” mentioned in this article can help with “frequency response” and assist stabilisation of the grid. Because variable solar and wind goes into a battery at an uneven rate, though the inverter gets it back out at a perfect 50Hz at the exact power needed for the load. My household PV system doesn’t go into a battery and I understand many large scale PV installations also do not which is why this national debate about frequency response and grid stability has arisen. I take it that batteries are necessary for “inverter connected technologies” to provide grid stability? Exactly or any kind of storage that acts as a buffer eg rain filling a dam and hydro getting it out at the rate we need it. Yes, the battery is required to provide a buffer while the system balances supply and demand. An inverter can respond and adjust instantaneously, but synchronous generation can’t. I wouldn’t think so: if grid voltage or frequency is too high, a PV/inverter facility could curtail or modify its output just as a battery storage system could. I seem to recall some “bouncing” in the output of gas generators in SA seconds before the recent outage. This SHOULD be simple to moderate even without storage. I have no idea if wind generators can be similarly curtailed, but doubt it. Because all the grid connected solar inverters installed must by design as set out in AS4777, detect and monitor the grid voltage and frequency, and feed-in energy at the same frequency and phase angle as the grid. In other words it must “follow” whatever the grid does, so that it does not have any influence on the grid frequency. The big wind turbines operate in much the same way, but due to their size are required to provide “reactive power control” (RPC). I’m not sure when they were required to have this though. And any solar inverter more than 3kW since October 2016 is required to have RPC as well. I hope I’ve explained this correctly. If someone can do better – please do! Yes. Although we’ll still have hydro-power which is synchronous too. They must and can be accommodated. It’s just their ramp rates are even slower when output needs to be adjusted. That’s ok though. Yes because in decades to come with it being the slowest thing left, there will no longer be a need for it to take part in balancing the load, so it won’t need to ramp much at all or very slowly, it’s output changing more with factors like seasonal variations. Thanks for your explanation which has added to my understanding of the issue but I am a keen follower of the debate and have a fairly reasonable understanding of these technical issues. I doubt that Joe and Jill Citizen would get it. I believe a glossary of terms in easily understood layman’s language on RenewEconomy would help educate not only the public but many commentators in the MSM. In the days before power electronics and distributed generation in all its forms. Life was simple for the grid and utilities. The steam or water powered generators would be driven to produce electricity. If the load was light and generation excessive the generator would speed up. If the load was heavy and the generator took strain it would slow down. If the generator slowed down the grid Hz would drop below 50 and if sped up the frequency would go above 50Hz. Simply by throttling the steam or water supply the controller could adjust the frequency back to 50Hz. Control the frequency and you match supply and demand. Well now, things today are not so simple, invertors on every home or wind farm take their cue from the grid frequency and force whatever power they plan to export straight into the grid. Obviously a grid with a capacity of 1GW is not going to be influenced appreciably by a 5KW or even 1000 such rooftop systems, but what happens when large amounts of electricity are exported into the grid, say, way beyond the ability of the load to absorb this? batteries and pumped hydro or silicon storage could do the job of absorbing the energy, but if none of these are available. What would happen? Presumably then, the synchronous generator,if there are any left will ‘feel’ no resistance from the grid and tend to speed up carrying the grid frequency over 50hz, and then the steam or water driving that generator will need to be withdrawn and allow the generator to slow down in the old fashioned way to control the grid frequency. – inertia as some call it. (Wind turbines spin and can be furled to provide frequency control). The great thing about electric circuits is that they obey simple laws of physics and are very scalable, what happens on the micro scale happens on a large scale. The behaviour of large circuits can even be modelled mathematically, and if they can be modelled with maths they can be controlled that way too. I would envision a grid with the usual 50 Hz frequency AC, perhaps coupled to high tension DC interconnectors, and maybe higher frequency AC special applications, the use of myriads of distributed batteries, flywheels, flow batteries, silicon storage or salt storage systems, capacitors, hydro and pumped hydro with their inherent inertia, flexible loads. I would imagine substations and minigrid control centres would provide a distributed frequency and voltage control function, perhaps sending localised price signals to the local community of generators/consumers. The substations could even become community owned. For example, an end of grid town like Harvey Bay might be over zealous with rooftop solar and produce too much in the day, but have no storage for the night. The Feed in price signal would drop to near Zero in the day but rise to say $2.00/KWH in the evening. People would see the opportunity and install storage. Another town might install a community wind farm and find its best resource is early morning and evening, the price signal for that place might encourage rooftop solar uptake. A third community with lots of distributed solar and storage might not even bother with AC power lines but choose DC for the common grid and have invertors to convert this to AC in the house. A foreign Embassy compound might even run their minigrid on 60Hz power! You have a pretty good grasp of how the existing system works. An increase in demand (load) reduces the voltage, puts more load on the generators which slow down somewhat. And vice-versa. Now here’s the unbelievable crude and clumsy part it. Many of the generators don’t actually directly influence the frequency. They simply bog down a bit and continue putting roughly the same amount of energy into the grid. They have an automatic voltage regulator, but rather than aiming to maintain voltage as you would expect, they maintain VoltAmps. So as the volts go down they increase the amps. Thus maintaining it’s MW output as instructed by the AEMO’s dispatch process. They don’t have to adjust the amount of fuel going in. They get told how much to generate and that’s how much they adjust too. Some of the generators also participate in the ‘frequency control auxillary service’ (FCAS). These ones get paid extra income to essentially govern their own generators, adjusting the fuel going in, to regulate the frequency. And even that is done under commands from AEMO, not by directly adjusting to actual frequency. To me this is a really clumsy way of going about it. I would have thought all generators would have their own speed (frequency) governors, all sensing and responding directly to the grid frequency. But no. Now for the inverter controlled system I proposed above. The inverter can maintain frequency regardless of load, so it is effectively no longer a variable in the system. This is key. And just like traditional generators, if the load increases, the voltage will be under downward pressure. The inverter then has to supply more energy from the battery bank to maintain voltage, which it can do instantaneously. And if the load reduces, the voltage would be under upward pressure. The inverter doesn’t have to provide as much energy from the battery bank to maintain voltage. And if there is a real surplus of energy being put into the grid from wind or solar, the inverter can still maintain the correct voltage by charging up the battery bank – storing the energy for later. The inverter could maintain voltage perfectly stable too, but I don’t want it too. I want the voltage to reduce a little when load increases. Because that voltage dip can be the signal for any synchronous generators to increase their output. So the automatic voltage regulators controlling the generators output governs according to what is actually happening on the grid. Not to some estimated requirement determined from AEMO. Low voltage -> increase output. But it must also do so at a controlled ramp rate so as to allow the speed (frequency) governor to increase fuel (steam, water, gas, diesel) simultaneously so that it maintains frequency with the grid. Remember that the inverter is able to carry the extra load until the generators adjust to it. And much the same would happen if the load decreases. The inverter stores the now excess energy coming from the synchronous generators whilst their output is ramped down at a controlled rate such that the frequency is maintained. So the system would have an equilibrium voltage of 240V and the inverter maintains it strictly between 230V and 250V. Whilst it is at the 240V equilibrium, the generators know not to ramp up or down, maintaining their output. And not only does the inverter vary the voltage whilst balancing supply and demand, it can use the same strategy to manage how much energy is stored in the battery bank. Note too that this system by virtue automatically accommodates any amount of renewable generation distributed around the grid. I hope that all makes sense and I’ve explained it well enough. The inverter becomes the key controller. It can be programmed to perform any strategy. The existing generators would all need to have proper speed governors operating, and their AVR would need replacing with a ‘multi-mode’ one with a new mode that responds directly with network voltage rather than maintaining VA output. With this in place, we could have one of the most stable and reliable networks in the world, AND, be able to transition to a fossil-fuel free future eventually. Something we can’t do while the system depends on frequency as a control signal and inertia to smooth out supply/demand. Thank you for your answer. What would your understanding be of a grid with no synchronous generators but still producing 50HZ AC? The inverters taking on the role entirely of frequency control. A geographically isolated WA community might have a thin wire connecting it to the grid, or no electrical connection at all. Absolutely inverters could manage frequency control of an entire grid, regardless of size. So long as there is enough generation from ANY source to carry the load. Local solar PV, a battery bank, anything. Batteries can be recharged overnight when demand is low and that thin wire has the capacity. There is no “debate” going on. The conservatives are asserting and propagandising,but being free of facts and contrary argument, they are not “debating”. Let’s not dignify the deniers as Debating! Finkel and team appear to be helping allot, to facilitate a transition of a power system that it took the best part of a century to roll out across the continent. Instead of being centralised around coal deposits, it needs to be targeted more around population centres. Once people are affirmative the sun and winds energy can be cost effectively stored, then we will be free to implement RE/storage in a much more distributed configuration. Yes, ok, I’ll have to think how else to explain the majority of the consumed power will happen locally. You need to read the technical journals. The debate is how to avoid the destabilization of the grid from unschedulable generation. GE has an expensive solution to only PART of the problem. Perhaps true, but this is only a minor issue. The real issue is that the sun doesn’t always shine, the wind doesn’t always blow, and large-scale electricity storage remains far too expensive, if not outright impractical. OK, perhaps we can save some money on maintaining spinning reserve, but how expensive was that, really, in the grand scheme of things? There’s a range of storage options for varying levels of scale. e.g. there’s hydro, pumped hydro, molten salt, different battery chemistries, as well as newly evolving technologies like silicon thermal energy storage. Many of these have already been cost effectively implemented in other areas of the world and some are already being implemented in Australia. Spinning reserve is large scale. Storage spans individual sites to utilities, and reduces spending on network capacity. Storage enables us to recalibrate network security into an incredible minutiae, though the effect will be enormous. Hydro is large scale and already exists. We already use parts of the snowy scheme as pumped hydro for storage, and pumping could be expanded to include many existing dams. There are hundreds of suitable locations for new pumped hydro storage around Australia. But I think the message from the experts is that the storage requirements of a distributed renewables grid are a lot lower than we would intuitively think. The issue is that the incumbents harm the planet while clinging to the status quo and make exorbitant profits and anyone else that looks at this tells us that 50-75% RE is no problem right now and if one want’s higher numbers we need to accommodate those with storage and adaptable loads (BEV, water heating, etc) and all of that still cheaper than status quo. If you like it or not, the system will move into a full RE direction within the next 20-30 years, because of market forces. I hope you’re around long enough to see it for yourself and be convinced that it’s possible in the end. That’s easy to say but not as true as it seems at first thought. In any one location there will be low-wind days and there will be thickly clouded days, but it hardly ever happens that a particular day is both not sunny and not windy. Usually a day is either cloudy and windy, or windless and sunny, and days that are both sunny and windy are more common than days that are neither. In addition, one location is not the whole nation. A few thousand kilometers away from a location that is having a day that isn’t producing enough power is likely to be one or more locations that are producing more than they need. The excess can be put onto the existing electric grid and sent to the place that’s short. d) network storage for major transmission sub-stations. Integrating distributed generation with distributed storage, means safeguarding each locality with its own generation and storage, while still benefitting from connection to a NEM. RE/storage is proving to be a much more subtle field than centralised generators and their infrastructure. This might be a naive silly idea. If people think big spinning things with lots of inertia are a good idea, couldn’t we repurpose the spinning bits of fossil fuel generators? Dispense with burning stuff to make steam but the hardware has bearings and mass so makes a good flywheel and it already has a hefty connection to the grid. A generator is a motor is a generator. So, if the grid voltage and/or frequency were to drop, some of the inertia would tend to push the frequency or voltage back up. Conversely, if the frequency or voltage were too high some energy would be absorbed by the rotating parts being driven to spin a bit faster. Some gearing would make it all better. Storage will be a more embedded technology, more like a hard drive in a computer right up to network drives in buildings. Much of the flow will be local only and some of the flow will be more regional. The problem with retrofitting generators is they are centralised, needing large transmission cabling, transformers, towers. We need to decide whether we accept the distributed paradigm. You are right. Existing big generators can be reconfigured to become synchronous condensers. and this is amongst the proposals the industry is putting forward. But it doesn’t get away from the issue that inertia is only effective and has the trade-off of altering frequency. You can’t get a boost of energy out of it without it slowing down. So ultimately it’s usefulness is limited. Very limited. The amount of inertia is only enough to stabilize the frequency for the time it takes to open the steam valve. Not much. For clarity, what you are referring to is VAR (reactive power) compensation by converting the generators to act in synchronous compensation mode. This system in the absence of a head of steam will not contribute hardly anything to system inertia for frequency stabilisation as there is no energy input component involved. Behind the meter batteries provide the required energy and as stated in the article, the response time is often faster than that of conventional generation assets. This is just the beginning. In the final distribution of the grid which I’m paying $467.95 annual service charge for, a network which provides me with a highly distorted sinewave waveform and voltages ranging from 235V – 255V averaging 250Volts with the highest voltage outside of solar hours. Let alone the very real tendency across Australia to have very unbalanced loads on the local 415V transformer due to lazy/missing quality processes. – provide services to smooth out energy flows in both directions i.e. store excesses and then fill in the short term high surges. The above services could be provided by the distributed renewable energy and battery storage systems at the many customer network interfaces, we only need to “PLAN” and systems thinking to make it happen. Already PV inverter suppliers at the household area are required to proved free reactive energy (without any $ compensation). Alan Finkel our Australian chief Scientist has thus far been a breath of fresh air and a much needed reality check. In a couple of years you’ll own a hybrid device that takes a couple of inputs, has storage connections and provides an island output on the other end (phase/frequency decoupled) where you can connect your house/flat/etc. to with perfect sinus if you want to. At least that’s where I’m going. I just don’t care for the perfect sinus. Well all of us having sorted out the technology and seeing there are still a few cost impediments but no technology impediments, we need to ask ourselves why has it been so hard to get here. Well changing fields more to sociology, social science and psychology, we can say there’s a few of us remaining with big egos and a big sense of entitlement, serving themselves and their political donations, rather than serving their country and our communities. These people are no more intelligent or deserving, they simply got there first to rip resources out of the ground. Batteries that can handle 15 minutes to an hour of unbalanced demand and generation would allow the elimination of the massive amounts of fuel wasted on spinning reserve. Generators wold run at optimum capacity or be shut down. Only one generator on the whole system would have to run are partial load. and most. Grid operators are already starting to do this. Unscheduled demand is no different than unscheduled generation. The grid already handles both. Wind and solar self regulate if the frequency goes to high. Unlike nuclear and coal that have very limited abilities to throttle and hate doing it. That’s what modern pumped hydro was installed for. Inverters and wind turbine electronics can handle grid transients better as the article states.